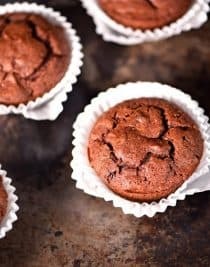 These pumpkin chocolate chocolate chip muffins are packed full of flavor and perfect for breakfast, brunch or a delicious snack! As soon as the weather turns a bit cooler, I start craving pumpkin! There’s just something about pumpkin that has me wanting to make all sorts of dishes with it! 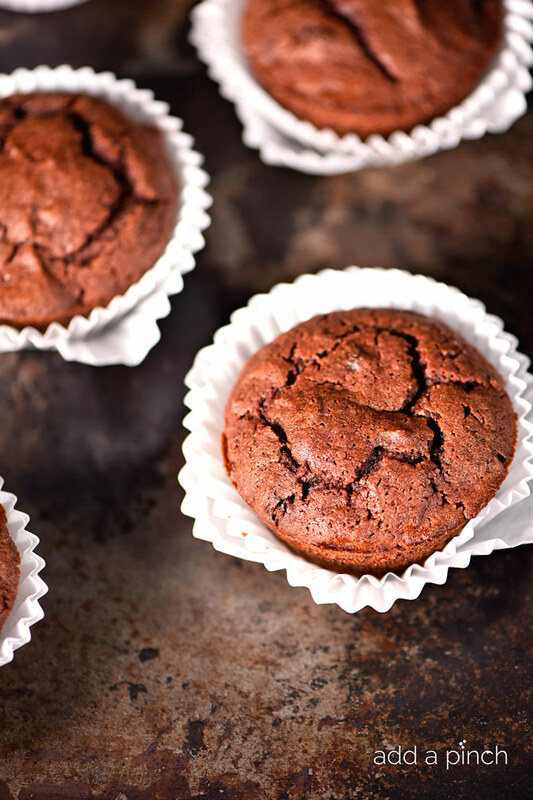 I love the velvety texture and how it does so well in baked goods. 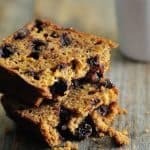 It makes them moist, rich and just downright delicious while being good for ya to boot! For these muffins, I amped up the amount of pumpkin that I used and eliminated the butter. 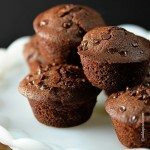 For me, I’ve found that I can use about 3/4 cup pumpkin puree in place of 1 cup of butter called for when I’m baking something like these muffins. 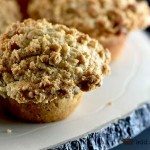 The pumpkin adds fiber and other nutrients to these muffins, which makes me feel even better about making them for my family. 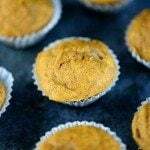 These pumpkin muffins are perfect for serving anytime of the year, but especially in the fall and winter! They aren’t just for breakfast either! They are delicious as a treat at your Halloween and Thanksgiving get togethers and are always fast to disappear when I serve them for Sam and his buddies in the afternoons! Talk about a win/ win for all of us! Here’s my Pumpkin Chocolate Chocolate Chip Muffins recipe. I hope your family enjoys them as much as mine does! Pumpkin Chocolate Chocolate Chip Muffins make a special treat for breakfast, brunch or an afternoon snack! These are a definite fall favorite! 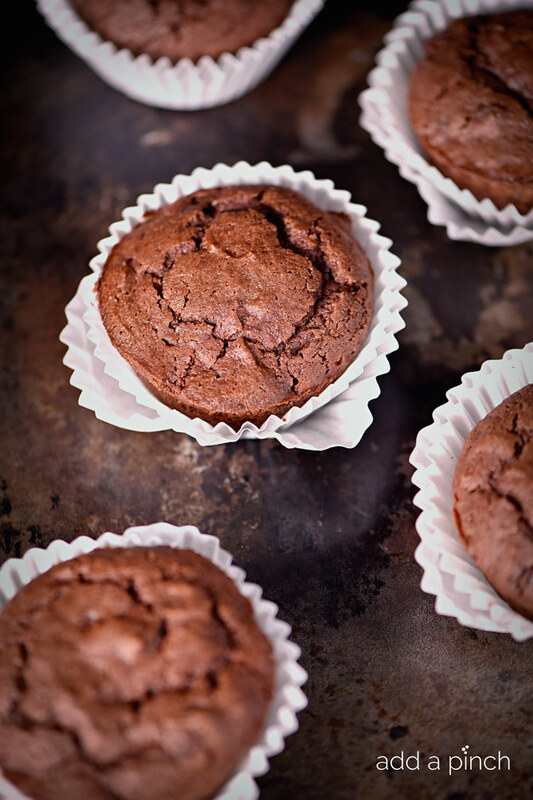 Preheat oven to 375º F. Prepare muffin tin with liners or by spraying with nonstick baking spray. Sift together flour, cocoa powder, baking powder, and salt into a large bowl. Set aside. Cream together pumpkin puree and brown sugar until light and fluffy, about 3 minutes. Add in eggs, being sure to incorporate well. Add flour mixture about ½ cup at a time, stirring to combine. Add vanilla extract and buttermilk. Fold in chocolate chips. Spoon muffin batter into prepared muffins tins, filling about ¾ full. 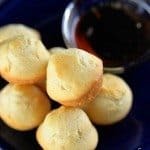 Place in preheated oven and bake until the lightly spring back to the touch and a toothpick comes out clean when inserted in the center, about 12 minutes for mini-muffins and 25-30 minutes for full-size muffins. Allow to cool slightly before serving. Buttermilk…is it necessary? If I replace it with whole milk to I change the baking powder or salt measurements. 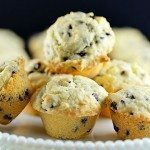 I’ll make these today but I don’t want to go to the store for the buttermilk and making my own gives me the willies and I won’t be able to eat the muffins. I know. I’m weird. You can replace with whole milk if you like. 🙂 I like the way that buttermilk lends tenderness to baked goods, but whole milk works just fine, too! I absolutely love all your recipes!! We don’t get pumpkin puree here( India! :)) could you suggest how to diy? Also can the buttermilk be substituted by regular milk? In regards to the inaccessibility of pumpkin puree for the pumpkin chocolate chocolate chip muffins, sweet potato may substituted equally instead. Loving all the pumpkin recipes!! The muffins look divine! My family loves these but I would like to double and freeze half the batter.